Attorney James Novak handles all forms of criminal law, with a primary focus on DUI cases. He offers aggressive, experienced legal defense, with a dedication to protecting your freedom and best interests. 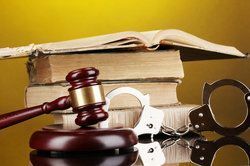 Knowing how stressful and confusing a criminal charge can be, Mr. Novak will walk you through every step of the process and will explain all legal and DUI terms, possible penalties, and court-mandated requirements. When you need a proven and compassionate DUI attorney in the greater Phoenix area, contact James Novak. James Novak received his BS in engineering from the University of Michigan. His scientific and technical knowledge give him a distinct edge when it comes to crime scene investigation, lab testing, biomechanics, and accident reconstruction. Following college, Novak received his Juris Doctor from the University of Michigan. While there, he also interned in the county prosecutor’s office, giving him experience on both sides of the courtroom. Novak also holds a master’s degree in counseling and education from Arizona University, giving him an advantage in jury selection, depositions, and understanding how prosecutors think. It also provides him with a superior understanding of the delicate matters of alcohol and drug addiction, allowing him to speak knowledgeably of such matters in court. Novak also has an MBA from Arizona University, allowing him to more effectively defend those accused of fraud, embezzlement, and other white collar crimes. Novak proudly served his country for four years as an active duty Marine. 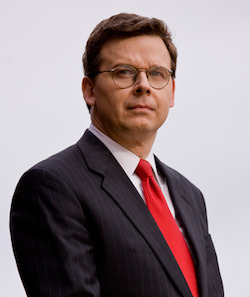 He formerly worked as a prosecuting attorney in Maricopa County, and is the founder and producer of www.lawwebtv.com. He continues to educate himself and is dedicated to following the latest developments in state and national law. In many cases, Mr. Novak has succeeded in having his clients’ charges dropped, and when this was not possible, he has often negotiated reduced charges or sentences. Whether you are facing charges of misdemeanor DUI, felony DUI, or some other criminal charges, the best way to protect your freedom is by hiring a superior defense attorney. Call James Novak’s office today. We are available 24 hours a day to answer your questions and get started on an aggressive and effective defense strategy.